Mog’s Christmas by Judith Kerr is a lovely story told from the perspective of Mog the clumsy cat, who wakes one morning to find some very odd things going on in her house, things she’s just not too sure she likes! Mog decides to climb on the roof after a bit of a fright and won’t come down, and although it’s snowy outside, no one can convince Mog to come down…until the snow she’s sitting on starts to melt with surprising results! This story is a nice one to read with younger children but I personally think it’s even better to read with children from four years onwards, as it gives LOTS of opportunities to explore Theory of Mind. Talk about Mog’s perspective as you read the story. For example you could discuss that Mog thinks the tree is walking towards her when we know it’s really Dad carrying the tree, but Mog can’t see him! 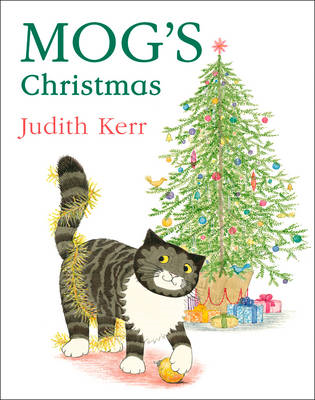 Practice shifting perspectives and tell the story from the perspective of another character with older children (four years and older) – did Dad know Mog was frightened by seeing the tree ‘walking’ on its own? How did Dad feel when Mog jumped on the roof? He might have thought to himself ‘that pesky cat is being silly again!’, but do you think that’s what he said? Talk about emotion words like ‘overwhelmed’, ‘frightened’, ‘apprehensive’, ‘concerned’, ‘relieved’, and try to think of some examples from your lives when you felt those things – can you think of something you did to help you feel better when you experienced those emotions?